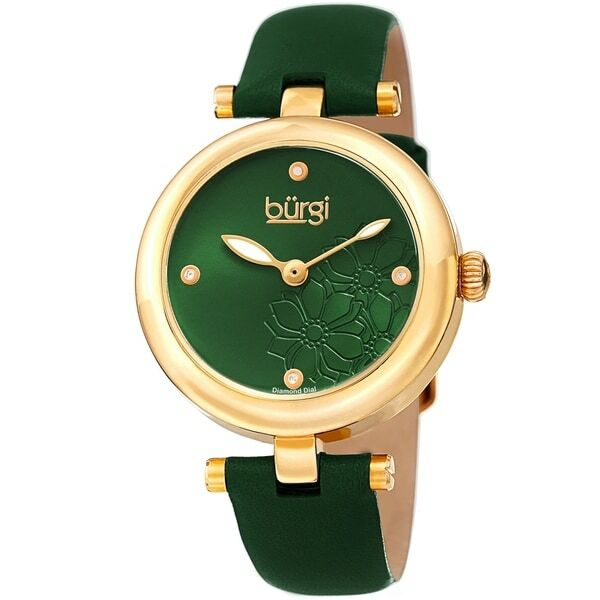 Inspired by delicate elegance, this Burgi timepiece features a lovely case with a high polished finish. The dial is decorated with an etched floral pattern and hand-applied genuine diamond markers. The classic two-hand timekeeping is powered by quality quartz movement, making it accurate and reliable. It is completed with a genuine leather strap that is affixed with elegant barbell-style lugs. Ok. Lighter than I expected.